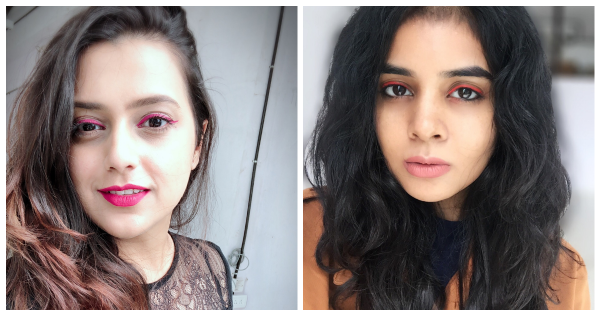 We Used Lipstick As Eyeliner And We Definitely Recommend You Try This At Home! 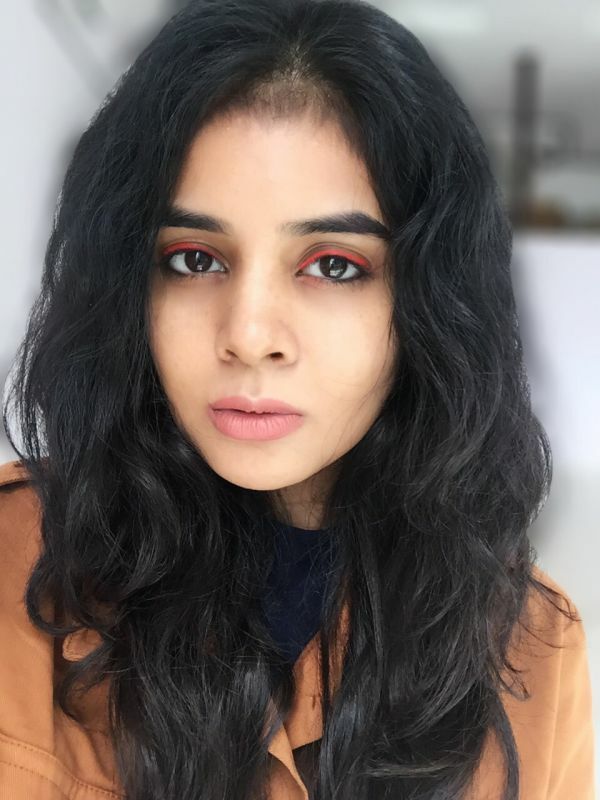 Coloured eyeliners have been all the rage on the ramp off late, and I for one have always been an advocator of the trend. From blue to silver and green, I've added numerous coloured eyeliners to my kit over the years. I have never been satisfied with how these colours look on my skin tone or the colour of my eyes. I really fancy a pink eyeliner so I thought of using my liquid lipstick instead and the result pleasantly surprised me and all my colleagues! So like any other beauty enthusiast, we all decided to take the trend out for a spin and see how different colours of lipstick look on different skin tones. In general, the responses to the coloured eyeliner were mixed. Some loved it, some hated it but most of all, everybody was in awe. It's a great look for a party, or if you're planning to take a lot of pictures. Sharon used an orange lipstick as eyeliner before she stepped out for an event and she got tons of compliments! 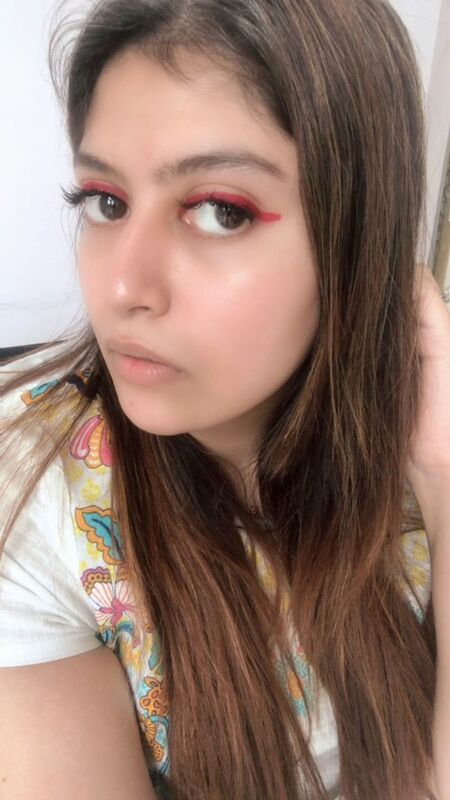 Kannagi isn't a fan of red lipsticks for her lips, but as it turns out she was in love with the idea of a red eyeliner. 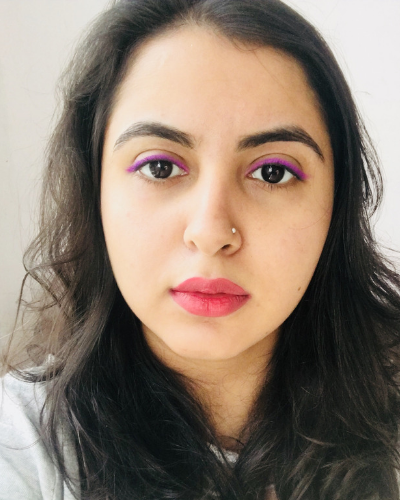 I used one of my purple lipsticks on Anandita's eyes and the lavender eyeliner looked pretty stunning on her skin tone. 1. If you have sensitive eyes, you may want to skip this since it may cause irritation (it didn't happen to any of us though). 2. Oil-free makeup remover is absolutely essential to take the liquid lipstick off without being too harsh. 3. You'll need a fine liner brush to use with the liquid lippie, check out this one from Vega. Set your eyes with a little bit of powder so that the lipstick doesn't slip n' slide. So bring out those liquid lippies ladies, let's get this trend started. The crazier the colour, the prettier the look!